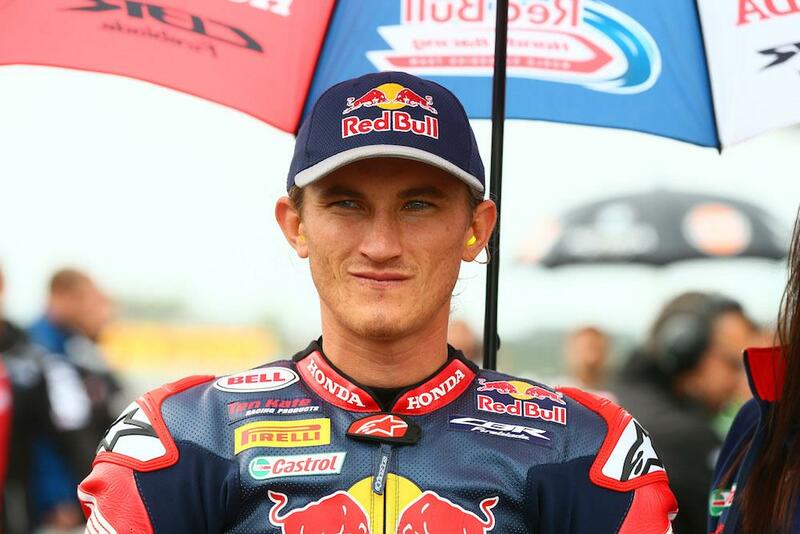 American racer Jake Gagne will join Leon Camier to complete the Red Bull Honda line-up for the 2018 Superbike World Championship. The 24-year-old made his World Superbike debut with the squad at Laguna Seca earlier this year, becoming the first rider to step into Nicky Hayden’s seat after the unfortunate passing of the 2006 MotoGP World Champion in May. After a strong showing in front of a home crowd, he was called up to join the team for the Magny Cours and Qatar rounds, consistently improving his performance with each race to claim a best result of 12th on three occasions despite not knowing the latter two tracks. “It’s a dream come true to have the chance to contest a full World Superbike season with the Red Bull Honda World Superbike team. I cannot thank Red Bull, Honda and Ten Kate enough for the opportunity to race the bike over three rounds this year. I learned so much from them and got to know them quite well. Gagne will be one of two Americans on the grid in 2018 with PJ Jacobsen stepping up from World Supersport to join Red Bull Honda's official satellite team - Triple M.